Handcrafted from the highest quality materials, 24Gn80 fused with 39Gn80. 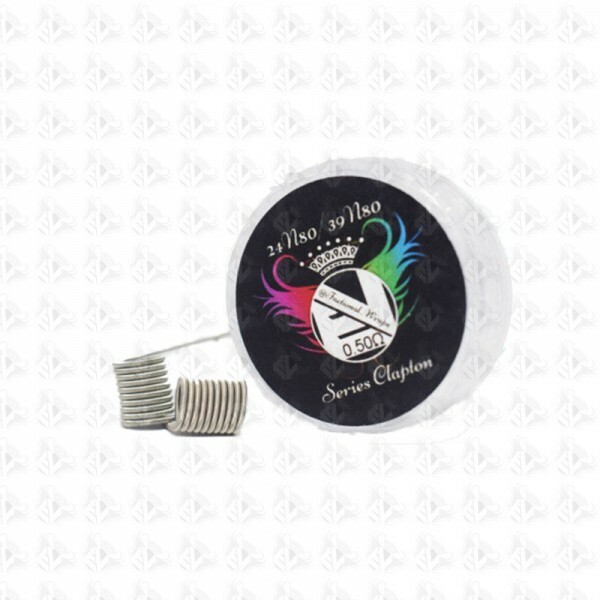 3.5mm inner diameter give these coils big surface area for those high voltage series mods! Reading 0.50Ω as duel coil set up, giving warmth, Huge flavor and even crazier clouds. For the vapers that like to impress. Like the power of series? Look no Further!